What makes Slider Revolution OUTSTANDING? Powerful Visual Editor – Building sliders has never been easier! Even though Slider Revolution is sporting an impressive number of options, even beginners will manage to create beautiful presentations with new, more intuitive workflow. 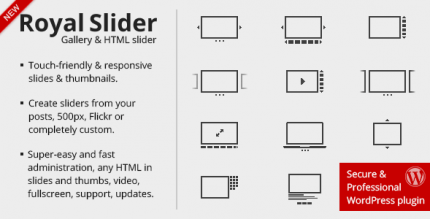 Responsive with Total Control – Slider Revolution displays great on every device, be it desktop computers, tablets or smartphones. You can now individually customize how layers look on various devices. 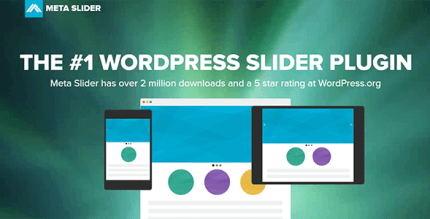 Media / Social Feed Support – Slider Revolution 5.0 comes with support for WordPress posts, Flickr, Instagram, Twitter, Facebook, YouTube, Vimeo and HTML5. Authors plan on adding more in the near future! Optimized Performance – Good looks aren't everything, so authors made sure that Slider Revolution also loads lightning fast! In addition to intelligent Lazy Loading options, the loaded core file size automatically scales with used features. Free Updates & Premium Support – First released in 2012, this plugin has since then been constantly being improved in terms of features, usability and beginner-friendliness. How do i activate the addons? Just activate plugin with any key (this is nulled version), then go to addons section and activate them. Can i update the plugin ? For download latest version you should spend 10 points again. You buy current version of product. For installation, do I just upload the whole downloaded zipfile as is? No, you should unpack it first and install only .zip installation file inside archive. I bought a theme that had the slide pre-install, and I updated with this version but I can’t activate the addons. It says Addon-blocked! Hi ! I want to make a purchase soon here. But i want to know by activating the plugin will I be able to install the pre-made templates also on a single click ? 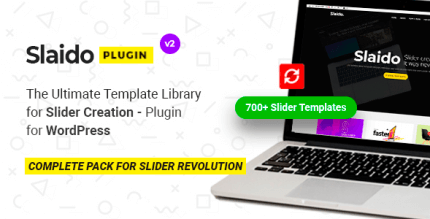 Hi.. i have revolution slider nulled but i can add just 1 slide. I made the right setup but where is the problem i didnt understand. i can not add 2 and 3 slider pages.. why? please can you help me..
Hello, maybe your webserver is not configured correctly. Please create support ticket on the website, we will help you. Very easy to setup new sliders and add all kinds of media and animation, etc. Sorry but Ican’t install add ons! how I can do it?